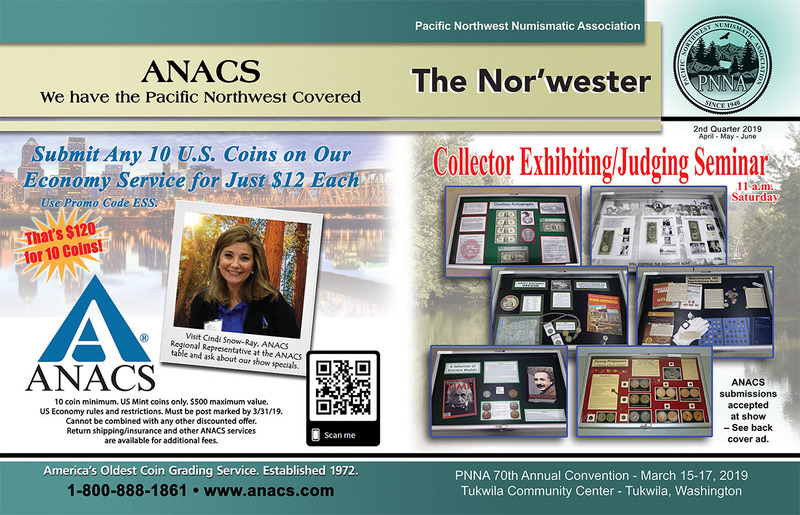 The biggest annual coin show in the Pacific Northwest, sponsored by the Pacific Northwest Numismatic Association (PNNA) and now in its 19th year in Tukwila, was once again a big success, with strong attendance in very moderate springlike weather conditions. 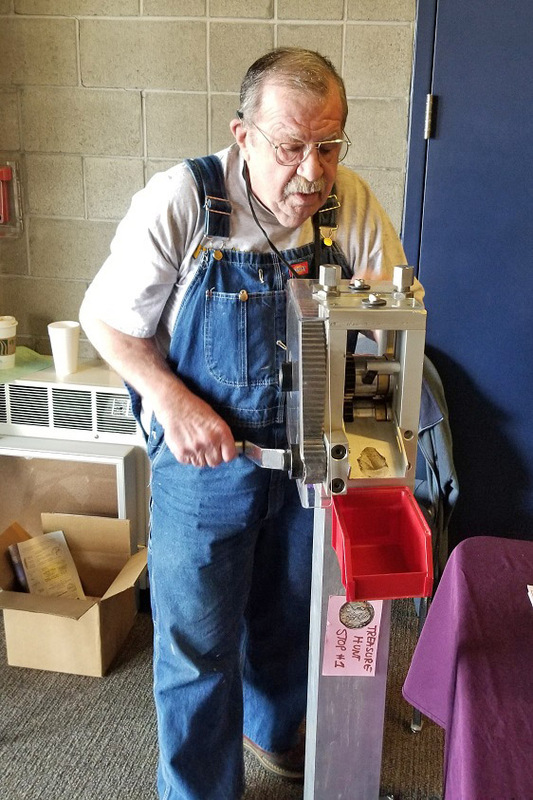 Total three-day paid attendance was approximately 1,000 as usual. See the convention dealer list. 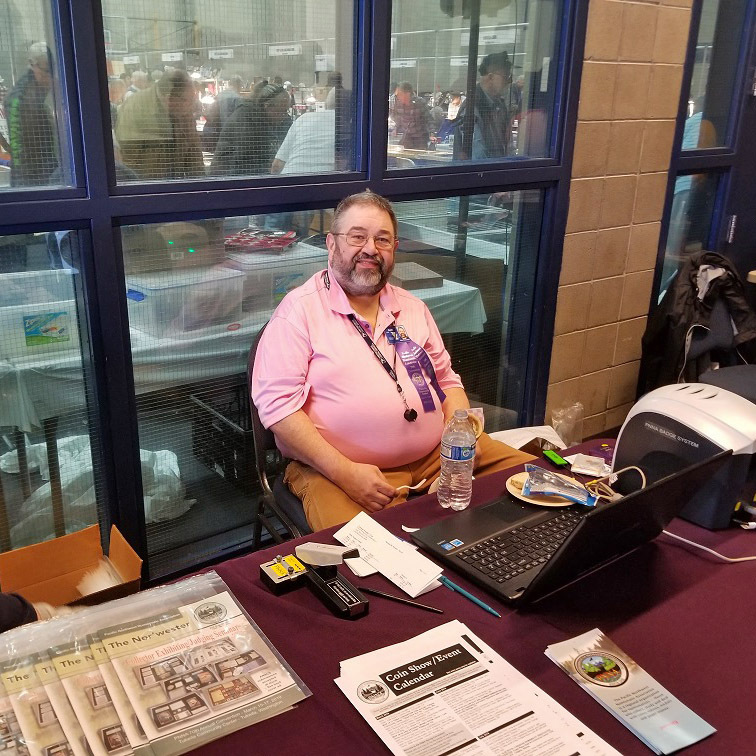 A Boy Scout workshop was offered by Tony Kalt and James Reinders, and was well-attended this year, with approximately 30 Scouts. 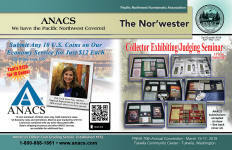 There were seven competitive collector exhibits this year in 19 cases. 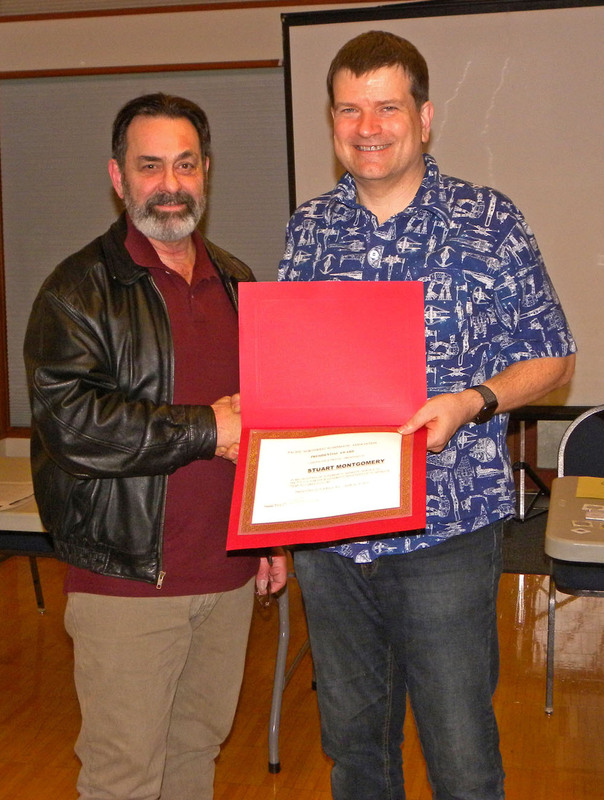 The annual PNNA general membership and awards meeting was held on Saturday March 16 after the close of the bourse. Some of the award winners are pictured below. Board and general membership meeting minutes will be posted on the meeting minutes page when available. Special thanks to Kevin Charboneau for serving as general chairman for the 2019 convention. This was Kevin's sixth convention as chairman, and he always does a great job. A report will be posted when available. 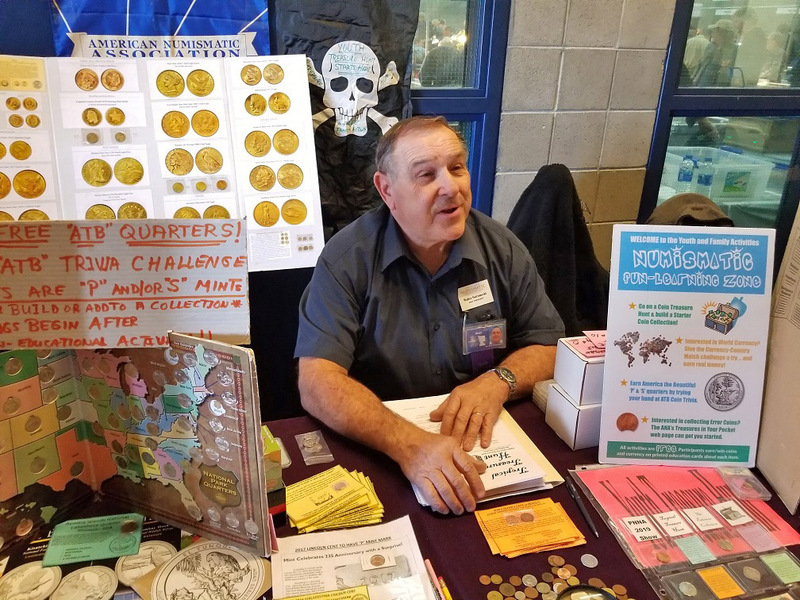 Left: Walt Ostromecki runs the Young Numismatist (YN) "Treasure Hunt" game. Right Center: Convention General Chairman Kevin Charboneau. 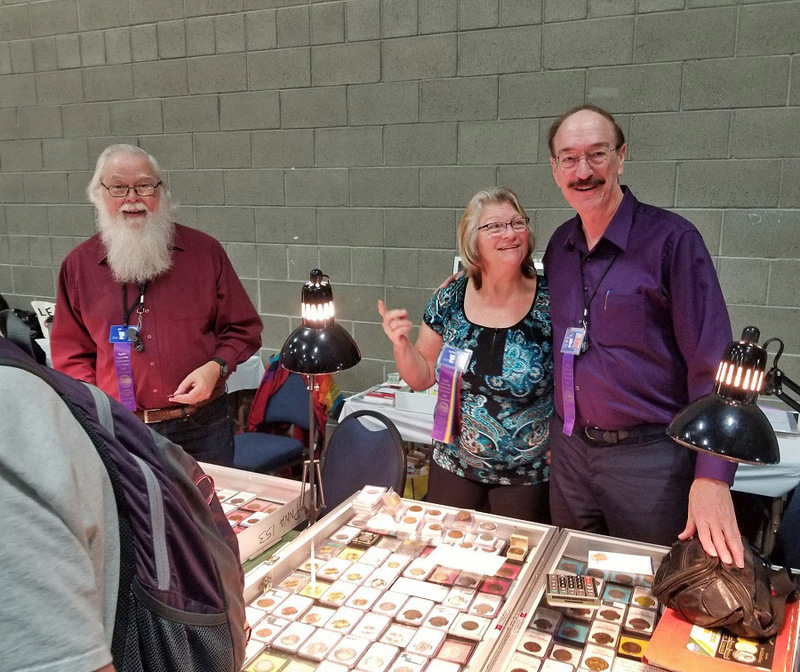 Right: Dealer, speaker and author Jeff Shevlin with wife Cecilia; co-author Bill Hyder at left. An ad for the latest Shevlin-Hyder book appears in the 2nd Q 2019 edition of The Nor'wester. 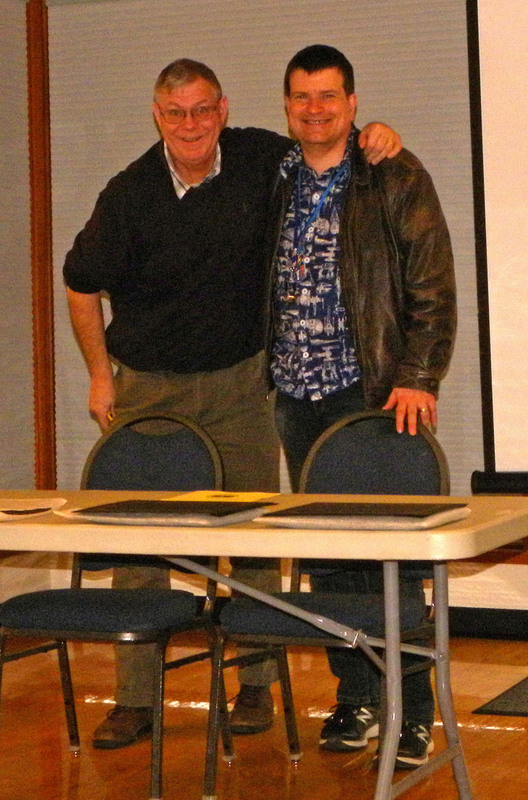 PNNA Past President Danny Bisgaard (left) and PNNA President James Reinders (right) are ready to go for the annual membership and awards meeting, held on Saturday, March 16, after the bourse closed! This was intended as a test photo, but they looked so ready, we had to show it! 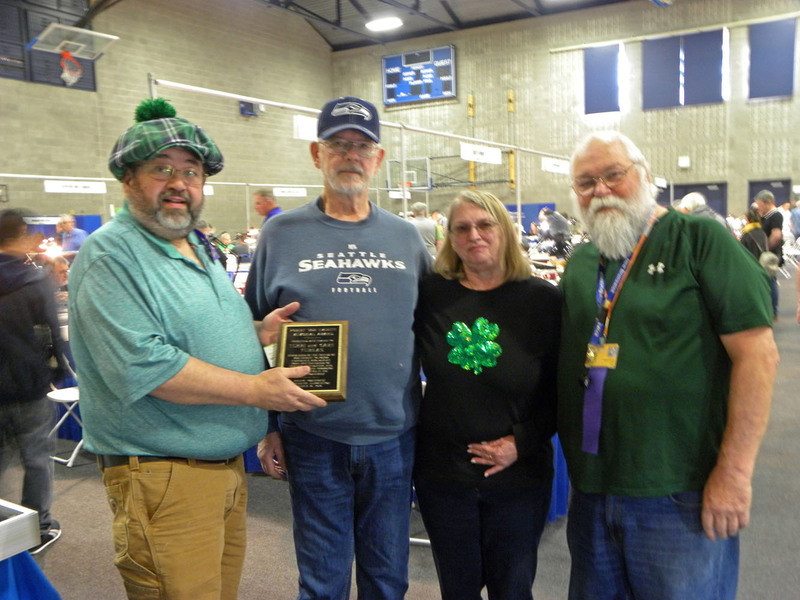 Terri and Gary Yurkas (center) received the Bob Everett Memorial Award from Kevin Charboneau (left) and Rick Schulz (right). They were recognized for their extensive involvement with South Sound clubs from Tacoma to Olympia, and also service at the annual Washington State Fair in Puyallup. 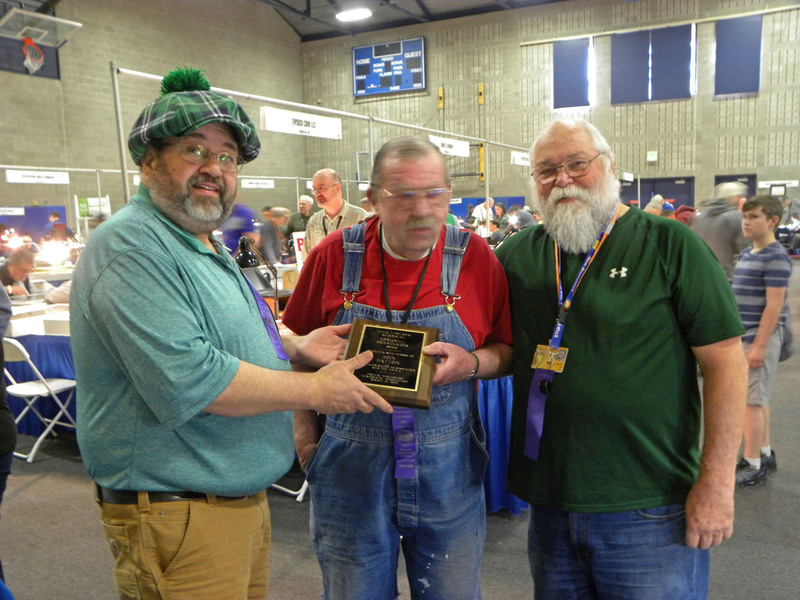 Ron Patton (center) received the Nina Nystrom Memorial Goodwill Ambassador Award from Kevin Charboneau (left) and Rick Schulz (right). 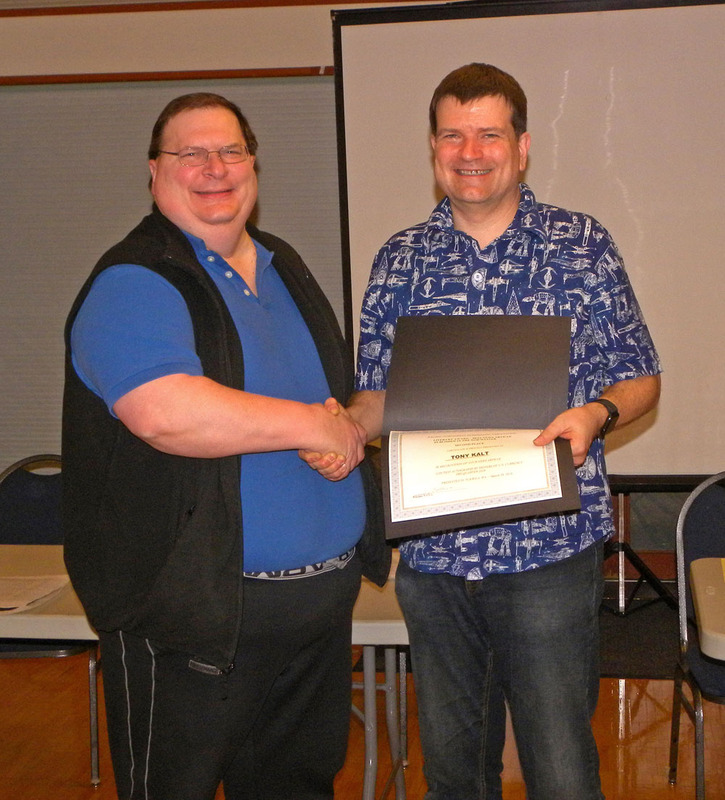 A PNNA presidential award was presented to Stuart Montgomery (left in photo, receiving award from PNNA president James Reinders) for donations to PNNA clubs. Additional recipients of the award were Henry Tarter, for always volunteering for club needs; Cindi Snow-Ray, for ANACS slab donations for the PNNA and clubs (see Cindi's photo in recent ANACS ads); Kellen Hoard, newest board member showing initiative; and Stephanie Charboneau for hospitality room coverage at the PNNA convention. 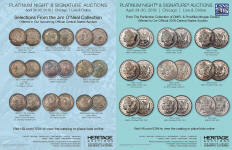 3rd place - Salem Numismatic Society. 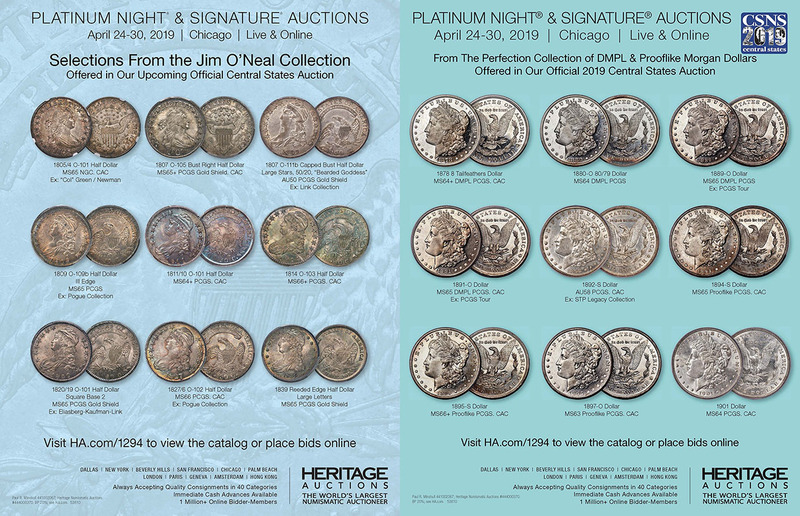 PNNA literary awards for best article in The Nor'wester (2nd Q 2018 - 1st Q 2019) were as follows: 1st Place - "Robert Scot: First Appointed Chief Engraver of the U.S. Mint" by Bill Nyberg; 2nd Place - "Courtesy Autographs by Signers of U.S. Currency" by Tony Kalt; 3rd Place - "The Irony of the Everlasting Precious 10 Mon" by Alexander Mous. Rick Schulz (left) accepts the 1st place best club newsletter award from James Reinders (right) on behalf of the South Hill Coin Club. For 2nd & 3rd place photos, see the linked award page. 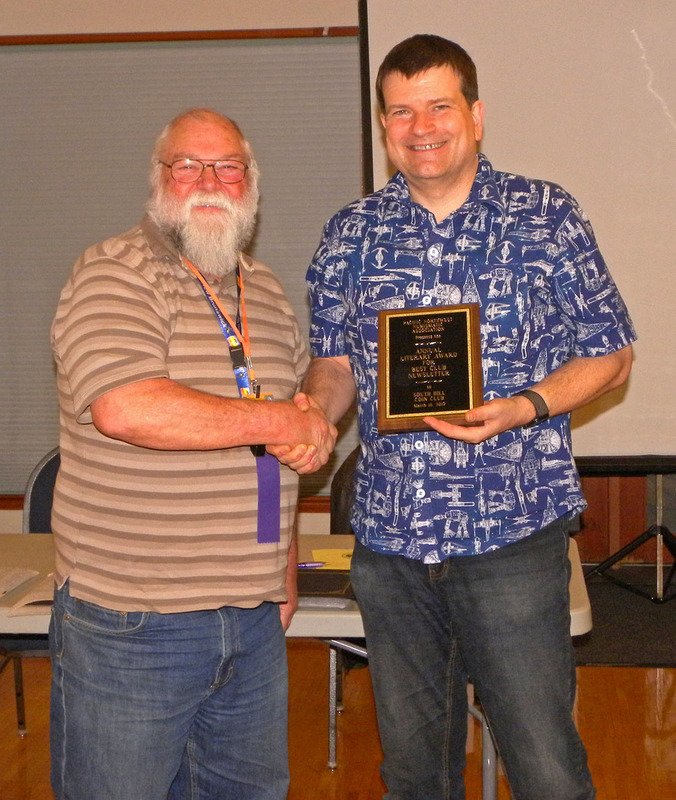 Tony Kalt (left) accepts the 2nd place best article award from James Reinders (right). For additional information, see the linked award page.